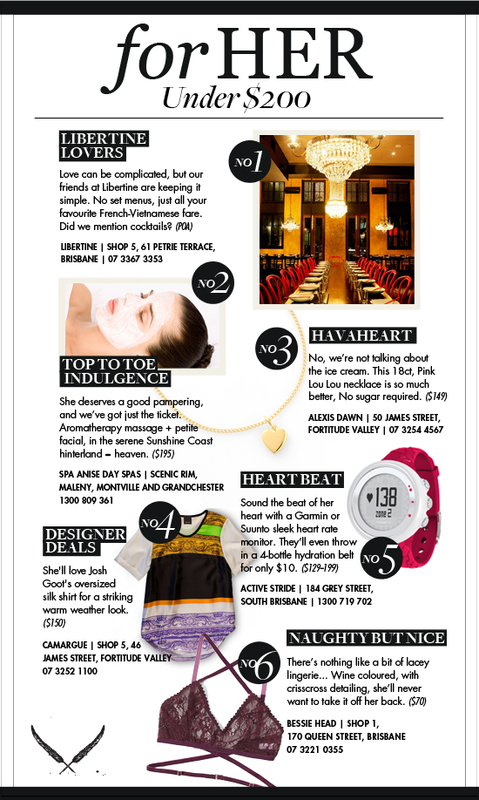 We've covered V Day pressies for her over the $200 mark, and now we're excited to reveal our second gift guide! This time we're all about spoiling the lovely lady in your life with gifts that won't break the bank. Have a squiz at our Valentine's Day gift ideas for her, under $200. TUL Note: Today's List Love post is proudly sponsored by the businesses in our gift guide and endorsed by The Urban List. Our sponsored posts will never be a secret - the List Love seal will be stamped on any sponsored material you see on the site.